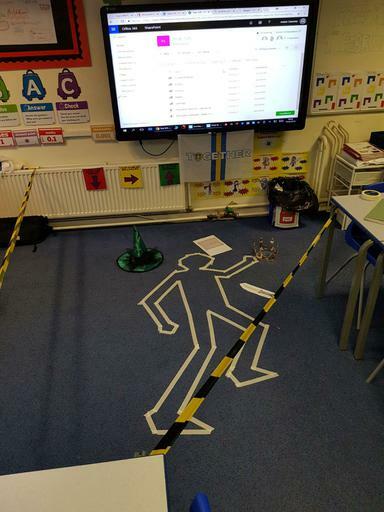 Children in 5/6 returned to school to find their classroom had turned into a crime scene! Working together as detectives, children pieced together clues to find out what had exactly happened. Clues included: witch’s hat; weapon; CCTV audio; a letter and a crown. Children will find out the truth as they read Macbeth this half term.